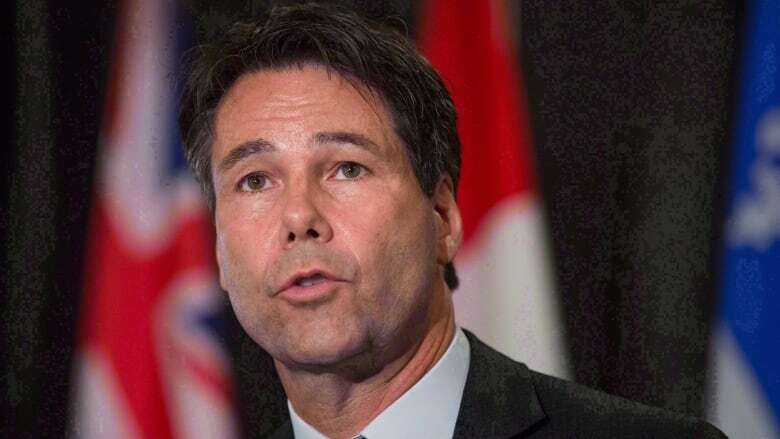 Ontario's Eric Hoskins has resigned as health minister to chair a federal government advisory council with a goal of creating a national pharmacare plan. CBC News has learned former Ontario health minister Eric Hoskins will chair a federal government advisory council with a goal of creating a national pharmacare plan. Hoskins announced his resignation as minister this afternoon without providing any details. A federal government source has told CBC News the council's mandate will be to "consult a wide range of stakeholders, provinces, territories, Indigenous groups and experts" and then provide the government with options on how to proceed with a national pharmacare program. The advisory council has until 2019 to complete its job. It's expected the federal government will make the announcement during Tuesday's budget. "In leaving Queen's Park, I am determined to continue building better healthcare for all Canadians," said Hoskins in a statement. "That path and journey will become clearer in the days ahead." 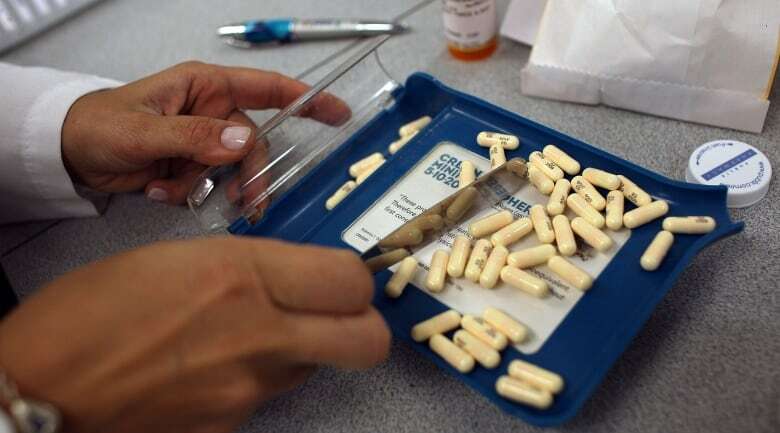 Canadians currently pay among the highest prices for prescription drugs in the world. Canada is also the only country with universal health care that doesn't include prescription drugs. Pharmacare was part of the original plan for universal health coverage in 1964. While the Liberals endorsed pharmacare and promised a timetable to introduce it in their 1997 election campaign platform, the current government has said it will instead focus on trying to lower prescription drug costs. Canadians are currently covered by a patchwork of public and private drug plans, while a minority pay completely out of pocket for their prescriptions. Government-run plans cover about 40 to 45 per cent of Canadians, and are for the most part only available to seniors, Ontarians under 25, otherwise uninsured Quebecers, welfare recipients, Indigenous people and members of the RCMP and Canadian Forces. When the committee asked the Parliamentary Budget Officer to research how much would be saved on prescriptions if Canadians were covered by these cheaper provincial drug plans, he concluded it would be $4.2 billion annually. That doesn't include the cost to government of extending insurance coverage to everyone. The federal ​Standing Committee on Health is reviewing a draft report on pharmacare. Federal NDP Health Critic Don Davies has called for national pharmacare. Davies said he's puzzled by the new appointment, saying it pre-empts the parliamentary health committee's work. "We're putting the finishing touches on a report after hearing from 90 witnesses, a broad spectrum of stakeholders from across the country," Davies said. "It smacks of politics, not policy." Colleen Flood, director of the Centre for Health Law Ethics and Policy in Ottawa, supports the idea of a Canada-wide pharmacare plan. Flood, born and raised in New Zealand, sees up to a 10-fold difference in the price of life-saving medications in New Zealand's pharmacare plan compared with prices in Canada. "That's an enormous difference in price, which you know a savvy public purchaser may be able to achieve with good bargaining with pharmaceutical companies. So the question is, will the system be set up to facilitate that?" Hoskins is a doctor and an officer of the Order of Canada. He was first elected as an MPP in 2009 in the Toronto riding of St. Paul's. He ran for the Ontario Liberal Party leadership in 2013. Ontario Premier Kathleen Wynne appointed him economic development minister in her first cabinet, then made him her health minister after the 2014 election. Hoskins is resigning as a member of provincial parliament and won't be running in the June provincial election.